I don't get email notifications to replies on my forum post. I only get emails for the weekly free stuff and when art school is updated so far. I have already checked my junk mail just in case and nothing's there. Everything is checked in the settings so I am not sure what else to do. 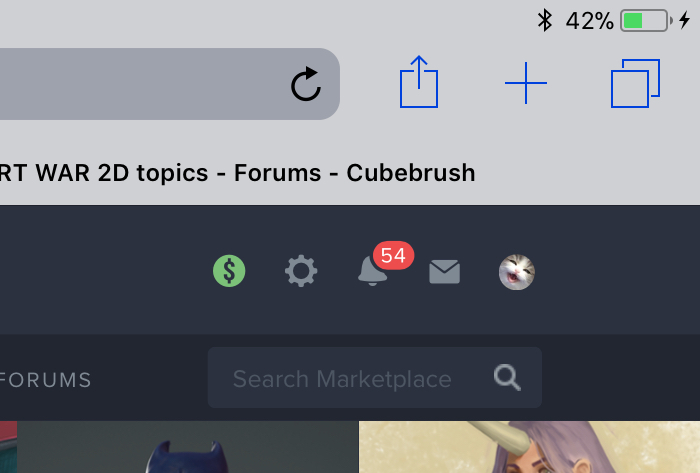 Bit of a weird bug, but my notifications have just been going out of control, like i’m getting the “notification icon” yet no actual interactions with my posts have been made, and it won’t let me check to see if they’re real notifications because the drop down menu just loads. and it’s... wild. like, if i sit for an hour my notifications end up looking like this. and i can’t tell what’s real or a bug. Not that i’m complaining about 47 notifications, i wish. but sadly these aren’t real and it’s weird. 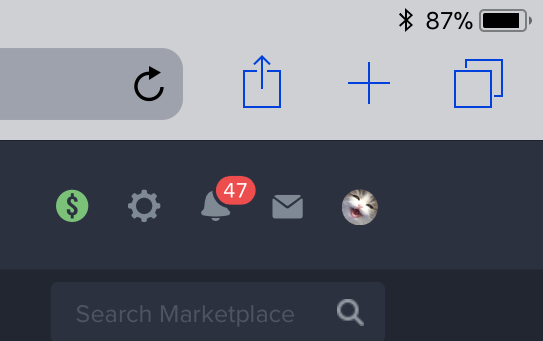 EDIT: minutes later, 54 ghost notifications out of nowhere! EDIT 2: i noticed a pattern now, it seems like every time a topic in the art war 2D or 3D forums updates, i get notifications equal to the amount of posts in the recent topic, I’m not sure if that’s what’s happening, but it would explain the very high and inconsistent numbers. Still, even for those of us with a few notifications - not dozens like Skullguzma! - it would be useful if we could ever see what those notifications were. The notifications icon worked last week, but must've broken in a recent update. I haven't been able to get the notifications pop-up to load since then. @mdashow you can check a different way by going to your forum profile and looking at your statistics and there should be things like “likes received” “Replies” “mentions” that you can click on. it’ll show you time stamps for what happened when. But if you’re having the same issue i am, the forum profile link from the drop down menu is kind of buggy too, so what i do is i just tab over to the “collections” part of the forum, and THEN my forum profile link works from the drop down menu. Thanks, that's a useful work-around! But it is still worth noting here so that they can fix it. It didn't need a work-around until a week ago or so. edit: That workaround works on my PC desktop but not on my laptop. On my laptop the Notifications pop-up still never loads. @skullguzma Looking into this, thanks for the details. Well, it seemed to be fixed yesterday. But now the notifications pop-up an hanging and not loading again today. Been having the same or similar problem Getting random notification numbers as well that vanish when I click the bell, but then the number vanishes and notifications don't load. Not a bug, but more a matter of design for user experience: Are contest announcements not stickied? I'm new here, but in many forums there are important posts that are stuck to the top of a category so users and newcomers can easily find it for relevant information. I was a little late to join in on Art War 2, but it took me a LONG time to even find the announcement post. I realize the Art War is not something that's always going on and normal contests don't have this problem as it's all contained in one post. After clicking Art Challenges category and then Art War 3D category I was left sifting through tons of posts unable to find the rules. I gave up but later found it going to the forum homepage and adjust filtering from Latest to Top. The rules aren't in the Art War 3D sub category but in the Art Challenges category where it's locked on Latest filtering so if there's a lot of other new posts and no one has replied in rules post recently I'm scrolling for days to find it. Sorry to ramble but I hope you find this troubled UX story useful in the site design and make finding important posts like rules in a challenge easier to access. @mickeyg oh, I didn't realize the topics were not pinned when created. Yes, that's definitely an oversight from our side, thank you for telling us. Sorry for the bad experience, for the next contests I will personally check that everything important is pinned to the top.